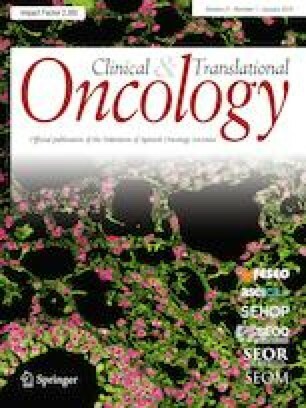 In this issue of Clinical and Translational Oncology, the Spanish Society of Medical Oncology publishes a new edition of its Clinical Guidelines. The number of last year’s downloads has endorsed them as a useful and valued tool for medical oncologists in Spain. This year, many guidelines regarding the most common tumours have been updated to summarize the best available evidence with respect to what is known about cancer, as well as its diagnosis and treatment. Similarly, the guidelines on febrile neutropenia and nutrition in patients with cancer have been revised and guidelines on cardiovascular toxicity in cancer patients are being published for first time. Likewise, this issue includes primary cancer prevention guidelines. In non-small cell lung cancer guidelines, the authors highlight the importance of driver mutations in selecting treatment, changes in the staging system, the need for diagnostic procedures, such as liquid biopsy, or the value of local treatments in oligometastatic disease . Breast cancer continues to be the most common cancer in women in Spain. A better understanding of prognostic and predictive factors is enabling individualized treatment, thereby minimizing toxicities in early stage breast cancer patients. In 2018, early stage breast cancer guidelines summarize the evidence currently available with clinical practice recommendations . Treatment recommendations in advanced and recurrent breast cancer guidelines are based on the rational use of therapies presently available to optimize patient outcomes . The guidelines for metastatic colorectal cancer diagnosis and treatment emphasize the need for a multidisciplinary approach to select the very best treatment options . The authors’ have explored systemic treatments and surgery or ablative techniques. The incidence and prevalence of gastroenteropancreatic and bronchial neuroendocrine neoplasms (NENs) continue to rise. Diagnostic procedures, histological classification, and therapeutic options are discussed and treatment algorithms are provided in this new update . Molecular classification, clinical prognostic factors, and available therapeutic options are discussed to provide treatment recommendations for the different settings in which muscle invasive and metastatic urothelial bladder cancer occurs . Febrile neutropenia is a dose-limiting toxicity of chemotherapy and can be a serious complication. This update covers aspects such as how to approach the risk of microbial resistances, epidemiological aspects, and considerations regarding the initial, risk-adjusted empirical approach . The guide explains the correct usage of the CISNE score (Clinical Index of Stable Febrile Neutropenia) in patients with solid tumours who appear stable in the initial phase of neutropenic infections, so as to detect those at high risk for complications. Malnutrition is a common medical problem in oncology. The guidelines published in this issue review the indications for nutritional intervention according to the type of treatment or palliative care, as well as pharmacological agents and pharmaconutrients . Cardiovascular disease impacts long-term cancer survivors’ prognosis. The main aspects revisited in this new guideline are risk stratification, preventive strategies, monitoring and diagnosis of cardiotoxicity, cancer treatment-related cardiovascular complications, and follow-up in long-term survivors . Primary prevention of cancer guidelines comprises a comprehensive review of the scientific evidence regarding the leading carcinogens and risk factors such as smoking, consumption of alcohol, diet, obesity, physical activity, occupational and environmental factors, ultraviolet radiation, or infections . Primary prevention recommendations have been made on the basis of this evidence.